Eight years ago, when he had nothing but his future to offer, Frederick Wentworth fell in love with Anne Elliot, the gentle daughter of a haughty, supercilious baronet. Sir Walter Elliot refused to countenance a marriage, and Anne’s godmother, Lady Russell, strongly advised Anne against him. Persuaded by those nearest to her, Anne had given him up and he had taken his broken heart to sea. When Jane Austen’s Persuasion opens in the year 1814, Frederick Wentworth, now a famous and wealthy captain in His Majesty’s Navy, finds himself back in England and, as fate would have it, residing as a guest in Anne’s former home. Now, it is the baronet who is in financial difficulties, and Anne exists only at her family’s beck and call. For eight long years, Frederick had steeled his heart against her. Should he allow Anne into his heart again, or should he look for love with younger, prettier women in the neighbourhood who regard him as a hero? 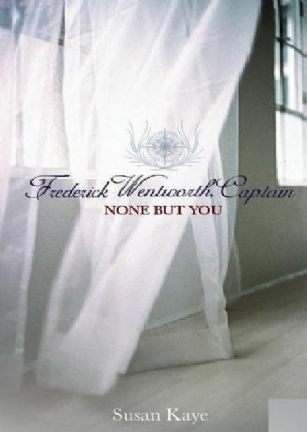 The mature sweetness of Jane Austen’s Persuasion is brought to life in Wytherngate Press’s None But You, the first in a two-volume series, Frederick Wentworth, Captain, by Susan Kay.